AP통신이 한국인이 사랑하는 독특한 음식이라며 삭힌 홍어를 집중 보도했다. AP는 “아시아에서 가장 냄새가 심한 생선에 열광하는 한국인들”이라는 제목으로 홍어의 숙성방법부터 삼합과 시식 후기 등 홍어의 다양한 면을 소개했다. 이 기사는 미국인들은 아직도 한국의 김치와 일본의 미소된장 등 아시아의 발효식품에 적응하고 있지만, 한국인들은 그보다 훨씬 강렬한 맛을 가진 홍어에 매료되어 있으며, 전문 식당은 물론 회원수가 천 여명이 넘는 홍어 인터넷 동호회도 있다고 설명했다. 또 처음 홍어를 맛보는 사람은 암모니아 냄새가 눈, 코, 혀와 폐까지 마비시켜 눈물이 나고 삼키는데 어려움을 호소하지만 보통 4번 정도 홍어를 먹고 나면 그 맛을 다시 찾게 된다고 전했다. AP는 목포의 한 홍어 음식점 주인의 말을 인용해 식당들은 대부분 수입한 홍어를 약 한 달간 1-2도의 온도로 유지되는 냉장고에서 홍어를 삭히고 있으며 전통적인 숙성방법은 항아리에 볏짚을 깔고 생선을 쌓아두는 것이라고 전했다. 또 홍어를 처음 접하는 사람들을 위해 입으로 숨을 들이쉬고 홍어를 씹는 동안에는 코로 숨을 내쉬거나, 묵은 김치와 삶은 돼지고기를 삭힌 홍어와 함께 먹는 홍어 “샌드위치” (홍어삼합)을 시도하는 것도 부담을 더는 방법이라고 전했다. AP는 홍어 특유의 냄새가 옷까지 스며드는 부정적인 요소들에도 불구하고 마치 담배처럼 중독시키는 매력이 있는 것으로 보인다고 전했다. 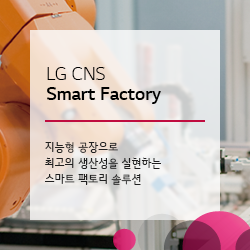 한국 문화 관련 블로그를 운영하는 미국인 조 맥퍼슨은 AP와의 인터뷰에서 처음에는 홍어가 메스꺼웠지만 후에는 홍어의 팬이 됐다고 말했다. 그는 홍어의 특이한 질감과 입안에 센세이션을 일으키는 것만으로 충분히 시도해 볼 만하다고 평했다. The aroma of one of South Korea's most popular delicacies is regularly compared to rotting garbage and filthy bathrooms. And that's by fans. “You know when it's done by the smell,'' said Kang Han-joo, co-owner of a seafood store in the bustling fish market of Mokpo, a port city on the southwestern tip of the Korean Peninsula, a region that's considered the food's spiritual home. As Kang spoke, he sliced small, stinking, glistening dark-pink fish steaks with a large knife and laid them in plastic foam boxes for shipment to customers around South Korea. Americans are still getting used to gentler fermented Asian foods _ spicy Korean kimchi and Japanese miso, for example _ yet many South Koreans claim a love, an addiction even, for this extreme form of fermentation. Restaurants specializing in the fish can be found throughout the country. One online hongeo appreciation society boasts more than 1,300 members. Hongeo's history is murky, but it emerged in the days before refrigeration, when food that could keep for a long time without rotting was prized. Someone _ maybe a fisherman on a long voyage or a clever, hungry or desperate farmer _ discovered that skate didn't spoil as easily as other fish and a dish was born. Most first-timers, however, tend to embrace all the extras they can, creating a hongeo "sandwhich'' with garnishes that can include red pepper paste, salty mini shrimp, raw garlic, chili salt, slices of fatty boiled pork and some extraordinarily strong kimchi. Even with ``some of the most powerful flavors in the world to put up against it ... it does not cover up the flavor at all,'' McPherson said. The extremely chewy texture _ spongy flesh and hard cartilage _ also makes for tough swallowing. And the smell of ammonia is so powerful it lingers for hours on clothes, skin and hair. One trick is to inhale through the mouth and exhale through the nose while eating. This helps fight the smell some and also intensifies a surprising tingling and cooling _ almost minty _ sensation in the mouth, throat and face. There are various theories explaining the food's popularity. Some Koreans describe their craving as similar to the desire for a cigarette: You want it despite its obvious negatives. 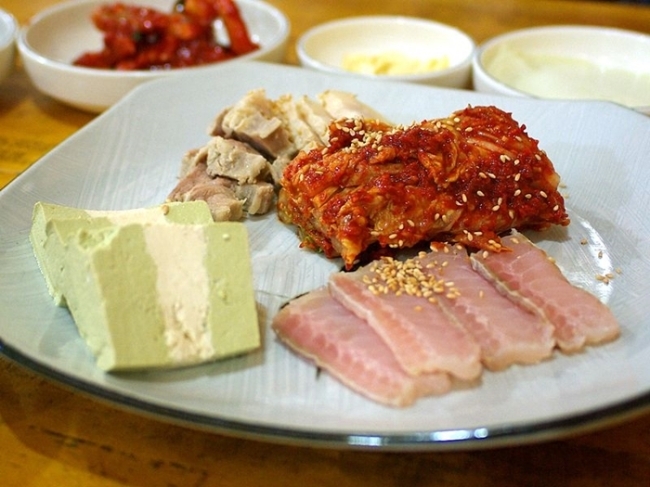 McPherson says the fish is also valued for its interesting texture and the sensation it produces in the mouth _ two things that can be as important to Koreans as flavor. There's also something convivial about hongeo restaurants, where large amounts of strong Korean booze are as ubiquitous as the fish.